Ads on mobile devices are often boring static images that are more likely to frustrate the user than get them to interact. 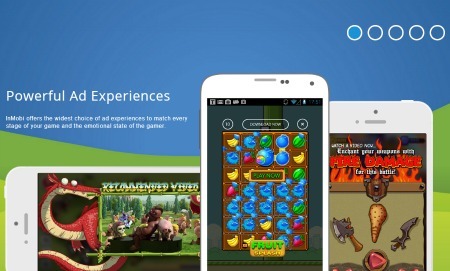 However, InMobi, a performance based mobile ad network, is looking to ease consumers' ad frustration with the release of its new Monetization Solution for Games. The new solutions are said to play off of users emotions thus driving higher engagement rates using interactive ads. There are four ads available for developers to insert into mobile games: Playable, Intersitial (full screen with animation), Video and Reward Ads. The most effective of the four, according to InMobi, is the Playable ads. These ads offer 20 to 40 second interactive previews in which users get a glimpse of what other games are like while still remaining within their original game. InMobi states that this ad format delivers 275 percent better performance than traditional ads. To go along with their Monetization Solution for Games, InMobi also announced a $25 million fund for indie developers. Through the fund InMobi will provide advisory services to indie developers to help them learn how to monetize and scale their games on a global level.